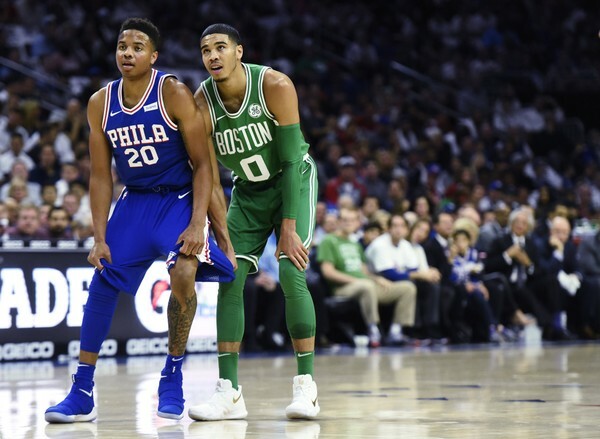 Right now, the Celtics essentially acquiring shooting star Jayson Tatum and a first-round draft pick and turning over the first pick in the 2017 NBA draft to the 76'ers looks like another coup for Danny Ainge. And it is, regardless of how Markelle Fultz develops. But halfway through the season, his shot is still broken. I believe it will be repaired, and Markelle will show us that he has true NBA ability. The mystery surrounding the entire saga is ridiculous. As a Health Coach/Personal Trainer for 25 years, shoulder injuries were the most common afflictions I had to deal with. The most common symptoms in impingement syndrome are pain, weakness and a loss of movement at the affected shoulder. The pain is often worsened by shoulder overhead movement and may occur at night, especially if the patient is lying on the affected shoulder. The onset of the pain may be acute if it is due to an injury or may be insidious if it is due to a gradual process such as an osteoarthritic spur. The pain has been described as dull rather than sharp, and lingers for long periods of a time, making it hard to fall asleep at night. Other symptoms can include a grinding or popping sensation during movement of the shoulder. Anybody who knows me understands I love to shoot. When I'm open, I let it fly. When I'm not, I might fire away anyway. But during my freshman season at Skidmore, I started feeling pain in my right shoulder. To this day, I have no idea when it began. There was no moment that triggered it; one day, I just started having trouble lifting up my right arm to shoot. The issue didn't impact my shoulder mobility in other ways. Just when I lifted my right arm up -- which, of course, is the most important motion a shooter makes. To compensate for the pain, I started lowering my release angle. As a freshman trying to earn minutes, I kept playing, but I was shooting damn near from my hip. Jay's take on Markelle's issue makes total sense. Shoulder injuries often seem to come out of nowhere. Very often, a specific cause or incident can't be pinpointed. What I can not understand is why, after all this time, the problem persists. And why all the mystery. The video below shows the deterioration in Fultz's shot. Jay King believes Markelle will regain his shooting form and display his real talents on the court. I agree totally. Unless there is a more serious underlying problem, he should be playing right now. But even if he attains the level of play forecast for him, Danny's two-for-one deal seems like another coup - or even heist. There will be others.